Pleasanton, CA — November 29, 2018 — NextHome is proud to announce our latest addition to the franchise, NextHome Realty Select – Woodstock Branch. This brokerage is the third NextHome franchised location in the state of Virginia. The Woodstock-based location will be owned and operated by 24-year real estate veteran, Curtis Siever. The brokerage will provide residential real estate, new construction sales, land sales, and lot development services to the areas of Winchester, Front Royal, Woodstock, Stephens City, and the remainder of the northern Shenandoah Valley. The town of Woodstock is located 90 minutes west of Washington DC and is home to nearly 6,000 residents. The new office location is 30 miles southwest of the first NextHome Realty Select office in Winchester, VA. Since opening his first NextHome brokerage in 2016, Curtis and his leadership team have grown to more than 25 agents. Originally from Fort Royal, Curtis was licensed in 1994 and started his career with Weichert Realtors. His brother, Terry, was the owner of a successful real estate construction business. Blue Ridge Construction created beautiful homes, but needed someone to market and sell these properties. Curtis was the perfect person to provide that service. Over the next two decades, Curtis leveraged his new construction sales background to create an incredibly successful real estate sales career. Averaging over 40 transactions yearly, Curtis consistently ranks as one of the top producers in his area. In early 2016, Curtis felt the need to follow his passion of not only helping those in need of real estate services. He wanted to help mentor and lead agents and felt it was the right time to open his own brokerage. Curtis attained his broker’s license and began looking for a franchise that would best help him deliver services and technology to his brokerage. 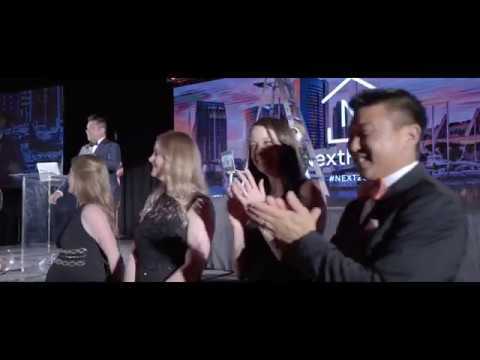 While he was pretty sure he was moving forward with NextHome, it was his visit to the NextHome Conference in May of 2016 that sealed the deal for him. When not selling real estate, Curtis enjoys spending time with his wife, Donna. The couple enjoy traveling and spending time with Curtis’s daughter, Amanda. Please join us in congratulating Curtis and the rest of the team at NextHome Realty Select – Woodstock Branch on their second NextHome location!